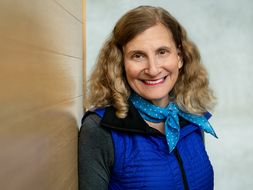 Joan Dassin, PhD, is Professor of International Education and Development and Director of the MA Program in Sustainable International Development (SID). She joined the Heller School faculty in Fall 2014 after spending the 2013-2014 academic year at the Centre for Latin American Studies and St Antony’s College, University of Oxford. While at Oxford, she conducted research on the impact of educational opportunities in the developing world on personal empowerment and positive social change. Her research was based on her experience as the founding Executive Director of the Ford Foundation International Fellowships Program (IFP), a global scholarship program that operated from 2000 to 2013. IFP enabled more than 4,300 social justice leaders in Africa, Asia, Latin America, the Middle East and Russia to pursue graduate-level studies at the world’s top universities (including the Heller School at Brandeis). In 2016 and in 2017, Dr. Dassin was appointed for short periods over the summer as Visiting Scholar at the State University of São Paulo (UNESP) in Brazil, where she conducted research on innovations in higher education. In July 2017, Dr. Dassin held an appointment as Visiting Researcher at the Latin American Centre, University of Oxford. From 2016-2019, she served as member and Chair of the External Advisory Committee for the MSc Program in International Health and Tropical Medicine, Centre for Tropical Medicine and Global Health, Nuffield Department of Medicine, University of Oxford. Dr. Dassin recently co-edited a book on International Scholarships in Higher Education: Pathways to Social Change, published by Palgrave MacMillan in October 2017. The book is the first comprehensive study on the social impacts of international scholarships. It has generated substantial interest among donors, scholarship administrators, and researchers as evidenced by a book launch event at the Open Society Foundations in New York City and several panels at the March 2018 Annual Conference of the Comparative and International Education Society (CIES) in Mexico City. Dr. Dassin has been an active participant in these public events. She has also presented her work on international scholarships at an April 2018 meeting of the Australian International Education Association (AIEA) in Canberra, Australia, followed by a roundtable on scholarships and foreign aid with Australian academics at Deakin University in Melbourne. Dr. Dassin is currently working on a project investigating the impact of international scholarships on access to higher education in Africa. In 2017, Dr. Dassin received the Heller School Teaching Award. In June 2011, she received the Marita Houlihan Award for Distinguished Contributions to International Education from NAFSA: Association of International Educators, an independent organization with more than 10,000 members. Dr. Dassin previously served as the Ford Foundation’s Regional Director for Latin America and Country Representative, Brazil Office, based in Rio de Janerio. She has given many interviews in national and international media and has published articles and books on social justice in international education, youth workforce development, human rights, and freedom of expression. Dr. Dassin has held academic positions at Columbia and Fordham Universities and at Amherst College. She earned a PhD from Stanford University in Modern Thought and Literature and is the recipient of three Fulbright Scholar Awards for teaching and research in Brazil. Dassin, Joan. "Dassin, Joan. “Senator Fulbright, We Need You Now.” Australian Policy and History (APH).." Australian Policy and History (APH), August 13, 2018 (2018): <http://aph.org.au/senator-fulbright-we-need-you-now/>. Dassin, Joan. "“Consolidating research, policy and practice in the emerging field of scholarships and social change.”." Measuring Success [online]. (2018): January 26, 2018 <https://www.acu.ac.uk/about-us/blog/research-policy-practice-scholarships-social-change>. Dassin, Joan. "“Lighting the Pathways to Change: How On-Award Activities Can Help to Improve Scholarship Outcomes” https://www.ieaa.org.au/research/scholarships-an." Annual Meeting, International Education Association of Australia (IEAA), Canberra, Australia. April 2018. Dassin, Joan and Belda, Francisco Rolfsen. "International Education in an Interactive Virtual Learning Environment: Experimenting with Digital Media Applications for Community-Based Development." Revista Ibero-Americana de Estudos em Educação (2017). Dassin, Joan, with Robin Marsh and Matt Mawer. International Scholarships in Higher Education: Pathways to Social Change. New York: Palgrave Macmillan, 2017. Dassin, Joan. "Scholarships for Sustainable Development." ITEMS: Insights for the Social Sciences http://items.ssrc.org/scholarships-for-sustainable-development/ 21 August 2017. Dassin, Joan. "Kenyan youth leader comes to Heller". November 22, 2016. Heller School for Social Policy and Management. <https://heller.brandeis.edu/news/items/releases/2016/obonyo.html>. Dassin, Joan. "“Mobility and Equity in Higher Education: The Latin American Experience of the Ford Foundation International Fellowships Program.”." Los Programas de Educación Superior Indígena en América Latina y en México: : Componentes Tradicionales y Emergentes.. 2014 ed. Ed. Sylvia Didou Aupertit. Lima: Lima: UNESCO-ISEALC, 2015. 81-112. Dassin, Joan. "Opening Opportunities in International Higher Education." The Chronicle of Higher Education December 1, 2011. Dassin, Joan, Rachel Clift and Mary Zurbuchen. The Ford Foundation International Fellowships Program: Linking Higher Education to Social Change. New York: Ford Foundation International Fellowships Program, 2013. Bernd Wächter, Queenie K.H. Lam and Irina Ferencz, ed. Social Inclusion and Excellent in International Education: Necessary, Achievable and Compatible goals. Brussels: ACA Papers on International Cooperation, 2012.